Omega Teaser – Railmaster for Baselworld 2017? In between reminding the world that the Speedmaster Professional is the first watch on the surface of the……Omega have captured our attention with this 13-second Pre-Baselworld 2017 teaser. As the mystery watch builds with x-ray style negatives, Social Media is buzzing with guesses on what we will be holding in just a few days. In 1957 Omega first released the Railmaster (ref. 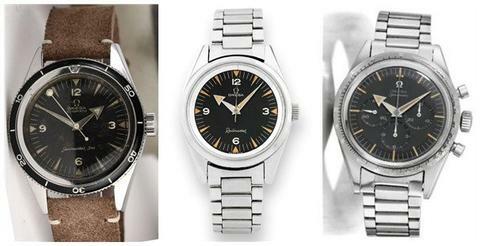 CK 2914) alongside the Seamaster and Speedmaster to form their Master’s Trilogy, arguably the most successful horological trilogy of all time. 2017 will mark the 60th Anniversary of all three models and birthdays at Omega are always decadently celebrated. We were pretty convinced on this teaser depicting the Railmaster by the hour markers, the broad arrow etc. etc. Then watching it again with the volume on cemented it. Originally released to boast supreme anti-magnetic capabilities, the Railmaster was designed for those working in heavy industry alongside strong electrical currents. Flash forward to 2015 with Omega’s intensive Master Chronometer Certification procedure requiring their certified movements to, among other tests, withstand 15,000 Gauss. Recently we have seen Omega stretch this testing as far as possible when they put a prototype of the Seamaster Aqua Terra up against a 160,000 Gauss magnetic field and confirmed resistance. This, to us anyway, seems like an ample opportunity to throw back to a watch originally designed to be anti-magnetic with some impressive new technology; whats old is new again. The teaser shows a Caliber 8806 Co-Axial automatic movement, which is also found in several other Omega models including the Seamaster Aqua Terra. But then again, we could be completely wrong. What would you like to see from Omega this Baselworld? ← TwentyTwoTen.com is on Youtube!